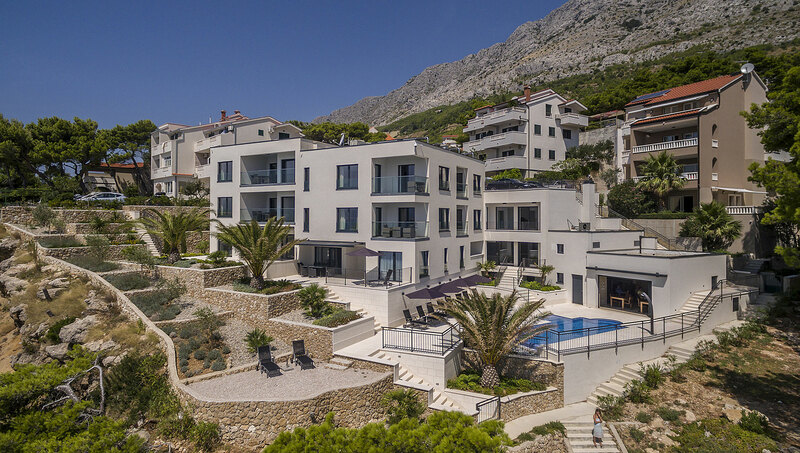 Sky Villa is located in a small place called Medici, near the town of Omis, only 7 km from Makarska, 25 km from Split and 30 km from the airport 50 km. 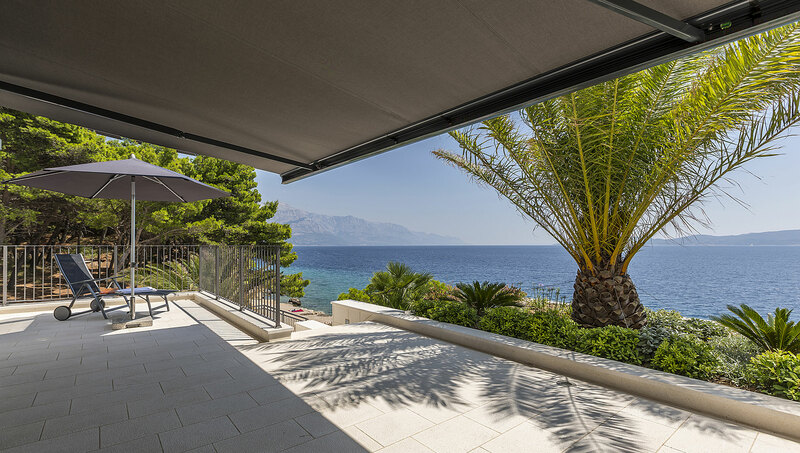 Villa is located by the sea, on the beautiful beach where the clear sea. Across the sea is the island of Brac. The neighboringplace of Medici is Mimice. There is a supermarket, post office, travel agencies, bars and restaurants. All apartments at Villa Sky are modern and luxuriously furnished and equipped. 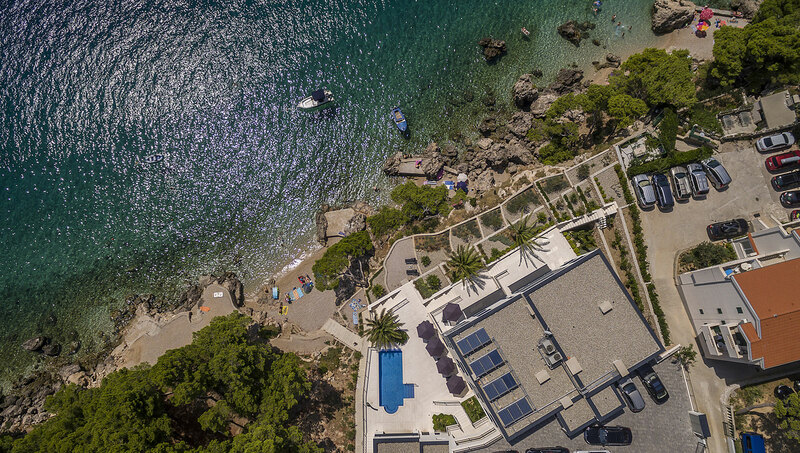 Villa Sky is luxuriously furnished villa, in addition to the proximity of the sea and the beautiful view, has a gym, swimming pool, gym, exercise, laundry and drying room and laundry cellar with access to the outdoor pool. After recreation and training relax in a sauna that will make you feel a lot easier and more rested. Relax in the inner Jacuzzi with massage. Tavern gives a special touch in the afternoon or evenings, relax by the outdoor pool. Fully equipped gym for athletes and amateurs. A separate laundry and drying room facilities. Relax with the daily use of the outdoor swimming pool with massage jets and countercurrent swimming. 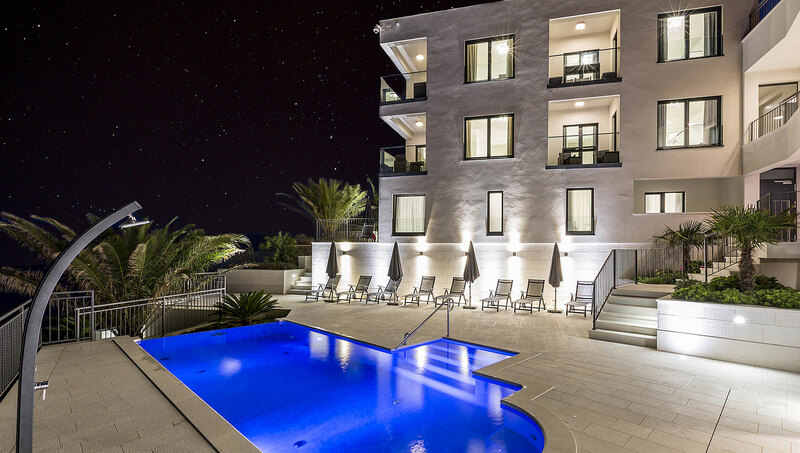 All apartments are luxuriously equipped with: air conditioning, wi-fi, LCD TV, satellite TV, safe, alarm, video surveillance , parking, sauna, gym, indoor jacuzzi with massage jets, an outdoor swimming pool with massage jets and counter-current swimming, a tavern.  Croatia is a young country, with a new energy that will fulfill you with the healthy life. Do not fill your life with days, fill your days with life. Croatia, full of life. Visit us! Stay 10 days and save. For 10 days we give you 10% discount. Breakfast and Grill on guest’s demand. We can arrange transportation from the airport or get a rent-a-car service. We can arrange day trips and boat rentals. Offers, events, promotions and news from Villa Sky.